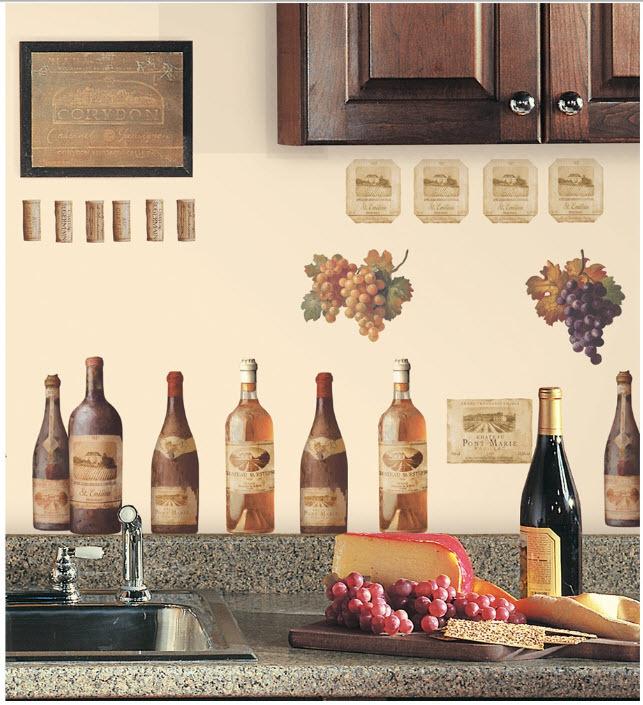 If you are a wine connoisseur, this set of wine labels and bottles was made just for you! We've also included a bunch of corks that you can place anywhere your heart desires. This set is perfect for accentuating your decor, or sprucing up any other smooth, dry, and clean object. Great for the kitchen, pantry, cellar, refrigerator, or den. • decals range from 1.5" x 0.75" to 5.5" x 10.75"